At Unity College, students follow the Lancashire agreed syllabus for Religious Education. 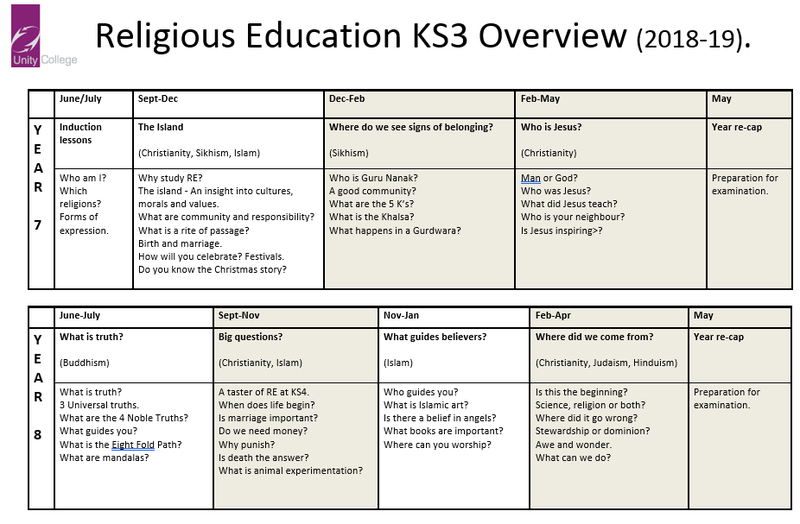 The syllabus aims ‘to support pupils’ personal search for meaning by engaging enquiry into the question ‘What does it mean to be human?’ – exploring answers offered by religion and belief. 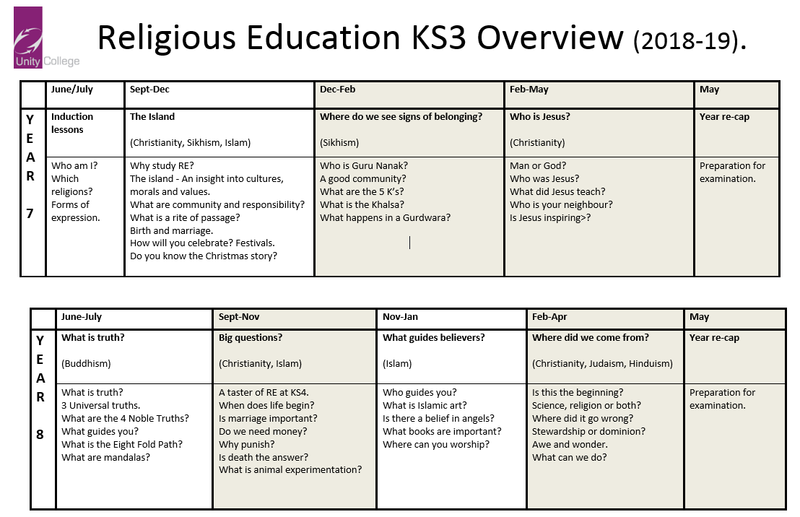 This allows students to learn about and understand different religions, beliefs, values and traditions and their influence on individuals, societies, communities and cultures. Any parents or students who would like more information about the above course should contact Mrs Bowman.